Of the 64 projects in the Bid Book’s Cultural Programme, approximately a third (33%) are either in planning or pilot project phase, if not already underway, said Valletta 2018 Executive Director Karsten Xuereb. 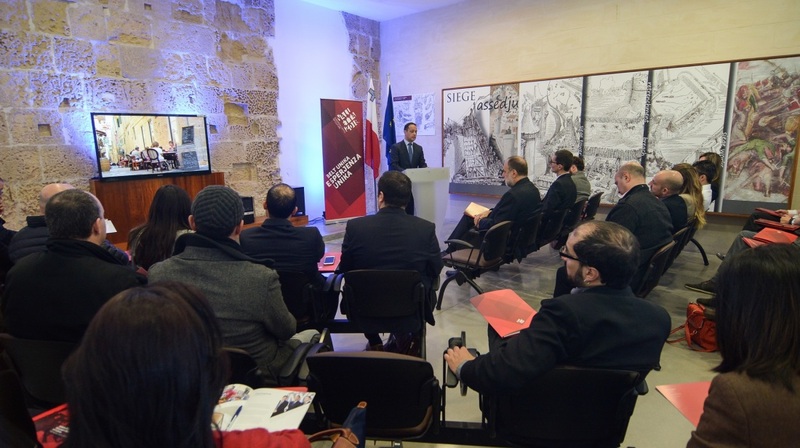 Speaking during a media event in which Highlights of 2014 and upcoming projects were presented, Dr Xuereb said at least a third of the Foundation’s programming focuses on communities around Malta, and directly addresses citizen participation and engagement. Examples of these are l-Ikla t-Tajba, Festa Paper, collaboration with ŻiguŻajg and Science in the City, and the Community Choir. The Cultural Programme has grown in its international stature to allow for the creation of stronger European collaborations and community based projects. These seek to promote the Foundation’s objectives along four main strands, namely education, community, skills, and events. Other festivals and events which have established themselves as part Valletta’s and the national artistic and cultural calendar include the Valletta Green Festival, the Valletta International Visual Arts festival (VIVA) and Malta Fashion Week. Following the launch of a new brand identity in October 2014, the Valletta 2018 website had 22,469 page views and 8,661 sessions registered till the end of the year. The number of sessions was 118% higher in comparison with the same period last year. The programme Valletta: Ilwien ta’ Belt, produced and presented by Media Coop and broadcast on TVM with the support of the Valletta 2018 Foundation, had 17,000 viewers and was the most watched programme in the pre-news time slot, according the Broadcasting Authority survey which took place towards the end of 2014.